I have decided to model a costume helmet. 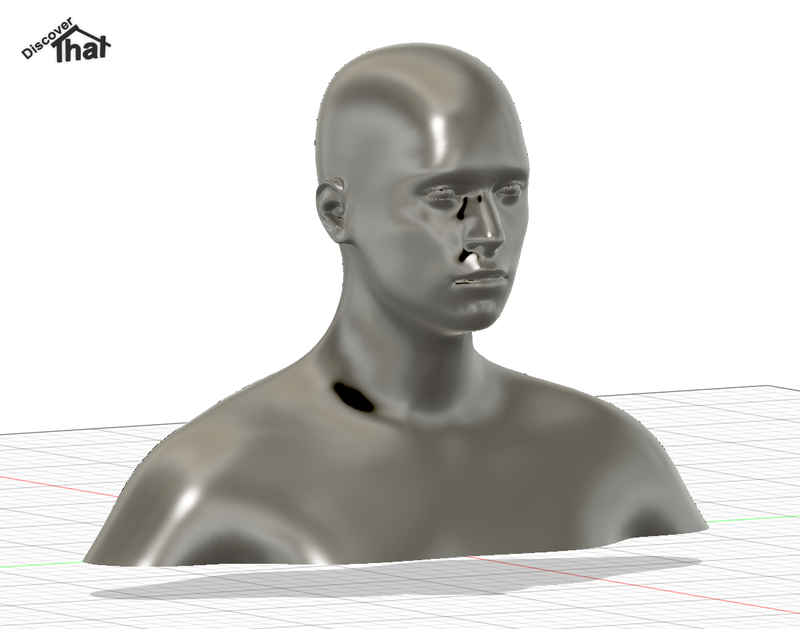 To help with that I have been looking for a full scale model of a human head to use with Fusion 360. I could not find one I was happy with, so I created my own. One of my main requirements was that it should not impact the performance of Fusion 360 too much. The thing I am creating is the important bit, not what I am modelling it round. 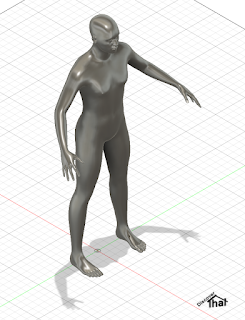 All of the human 3D models I found are meshes and they are either poor quality or have too many polygons! 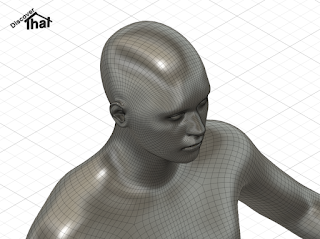 Fusion 360 is designed for solid body, not polygon mesh, modelling. 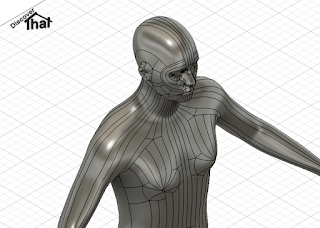 Ideally I wanted a native Fusion 360 'Brep' model not a mesh. I have eventually managed to convert a human body mesh, produced in MakeHuman in to a reasonably tidy 'Brep' solid body model for use in Fusion 360. It took me the best part of Sunday afternoon with trial and error to get to an end result I am happy with. Fusion 360 can easily convert a solid mesh to a 'Brep' in one go but the result is poor quality and low performance. The trick is to be able to convert it to T-spline first, to get rid of the reliance on the polygon forms. Create a sub-division surface mesh. This was the important bit. Create the eyes from proper sphere's in Fusion 360 and join to the main body mesh. Now I have a good quality mannequin model that does not significantly impact performance. The sub-division surface in Blender creates an all Quad mesh. The use of Quads NOT triangles, was important to get a clean T-spline model in Fusion 360. It did not matter what number of sub-divisions, just one was enough to force the result to quads. The better looking eyes are a nice to have. 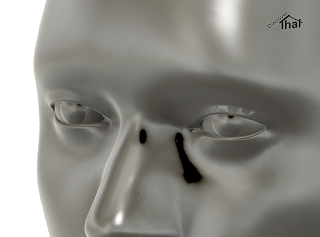 I could have done the same process on the MakeHuman generated eyes, as I did on the body. Then I would have ended up with facsimiles of spheres instead of parameter generated spheres. I will scale the model, as required, to the approximate size for the costume I want to model. ** As a side note, the new interface, in Blender 2.8 beta, is so much nicer and easier to use than the earlier versions. It's close enough, to the earlier versions, that I could transition quite quickly but improved in many areas to make it more intuitive to use.